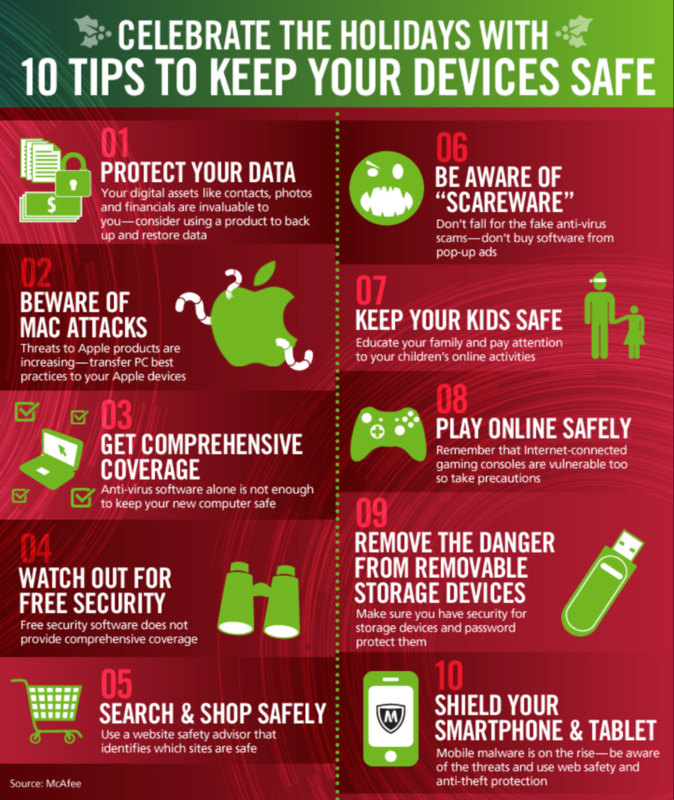 Learn how to protect your identity while holiday shopping with these helpful tips. 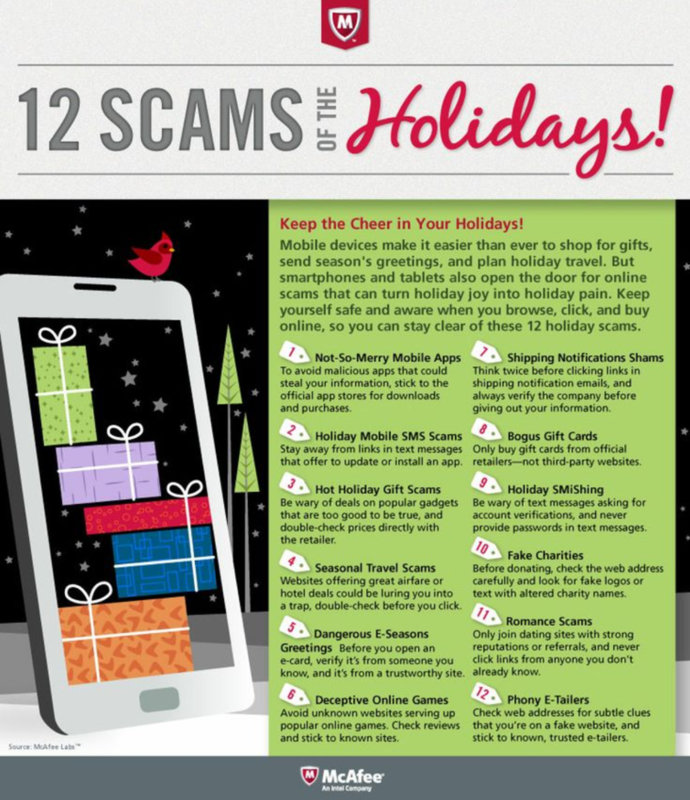 It happens every holiday season – a number of shoppers have their credit or debit card information stolen and the thief wreaks havoc on their bank account, credit card balances and/or identity. With Black Friday and a slew of additional upcoming holiday sales, thieves will be using the latest technology and tricks against shoppers. Change your view on your debit card – Many people use their debit cards for a variety of purchases every day, but Steve Weisman, national fraud expert, says this is dangerous. While a debit card might look like a credit card, it is not, and rather it is tied directly to your bank accounts. If your bank or financial institution doesn’t have technology in place that recognizes irregular transactions, or you don’t check your account frequently, you may not know your account was hacked until after disaster has struck. Weisman’s advice is to stick to using your debit card only at ATM’s. His reasoning: If you find theft has occurred in your bank account, report it immediately. The financial institution will likely freeze your card, which may limit access to your money while they investigate the situation to see if you are liable. With credit cards however, the law limits your maximum liability fee at $50, though in most cases of theft, these companies will not charge you that fee. Scrutinize online websites – Hackers and thieve like to create websites that look almost identical to some of your top retailer sites, just changing a letter or two in the domain. There are even new websites popping up daily that look professional and legitimate that are offering hard-to-believe sales. These sites are scam sites and will take your information to either use for themselves or to sell on the Internet’s black market. To keep yourself safe, check out websites like Resellerratings.com or Whois.com to see who actually owns the website and if the deals offered there are legitimate. 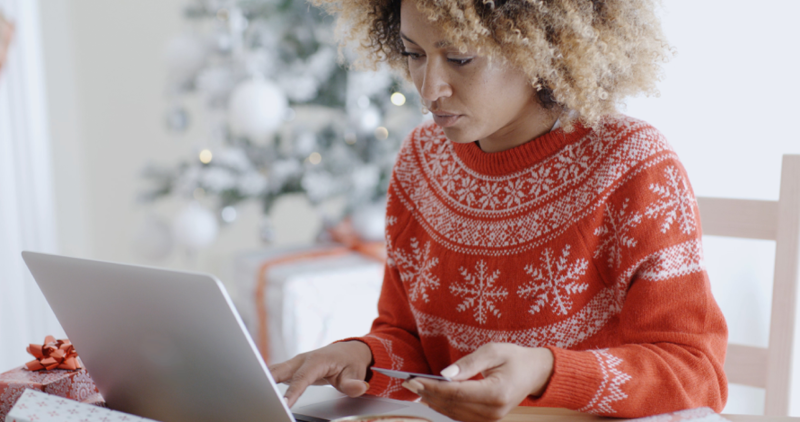 Don’t fall for fake shipping notice emails – One of the top ways to protect your identity while holiday shopping is to beware of fake emails that will install malware on your computer. During the holidays, hackers and thieves like to send out notices that look similar to FedEx, the Postal Service, and UPS. These emails will state that your shipment is on its way or someone has shipped you a package, and provide you with a tracking link. Once that linked is clicked, you could have clicked on dangerous malware that can infect your computer and steal your personal information. Create different passwords for different websites – This might seem time consuming and frustrating at first but it could save you a lot of time and money in the long run. If you are a die-hard online shopper, security experts advise you to create a different password for each site you create an account with. When keeping passwords the same, a thief will have a way in to all of the sites you have visited if he or she is able to steal your online password. And for shoppers who store their credit card information on different sites, this could lead to a disaster. 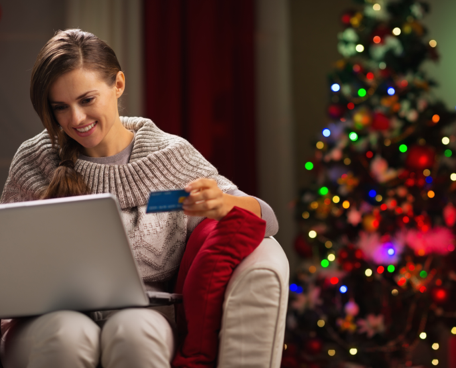 Getting into the habit of changing passwords will help increase your security with online holiday shopping. In addition to being vigilant during online shopping, shoppers also need to stay on top of their own safety when shopping in brick and mortar stores. Experts advise that you only carry one credit card out with you, keep your password away from prying eyes when entering it with the cashier, and keep your wallet and/or purse protected.